I wanted to share another makeup look that I rocked during a girls night out. 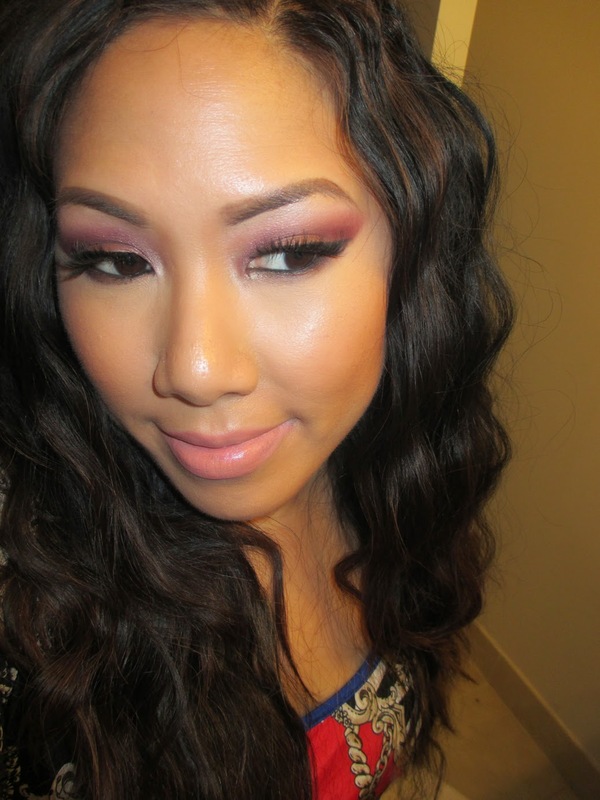 I wanted a little more color on my eyes so I went with pinks and purples, always a good combo. Check it out! 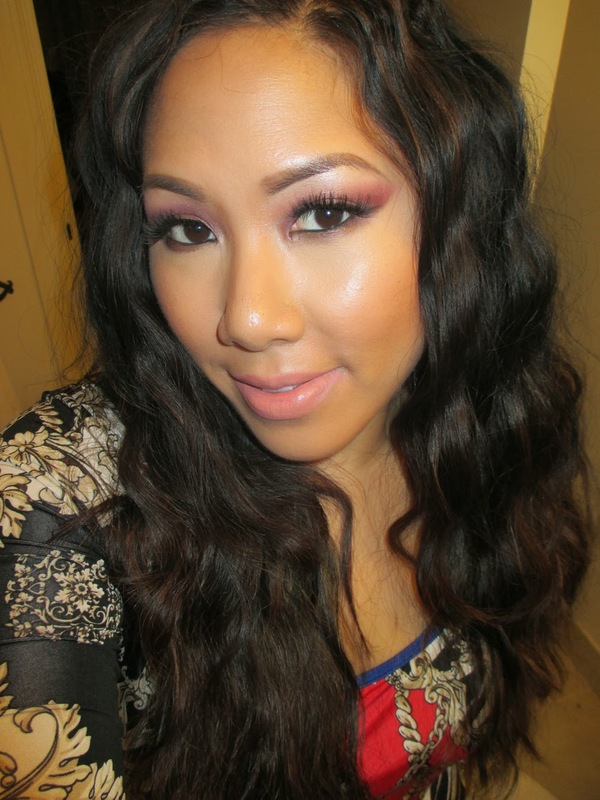 This is another look where I'm rocking the Anastasia Brow Products that I featured in Friday's post. I love creating new shapes depending on my makeup - in this case I went a little thicker for a youthful look using the DipBrow Pomade and Brow Gel. On my eyes I wore a bronze on the lid (makeup geek pigment) and a burgundy (Mehron Red Earth) in the crease...blend it all together and you get this gorgeous plum look. I've also been really big into highlighting my tear duct with shimmer shadows lately. 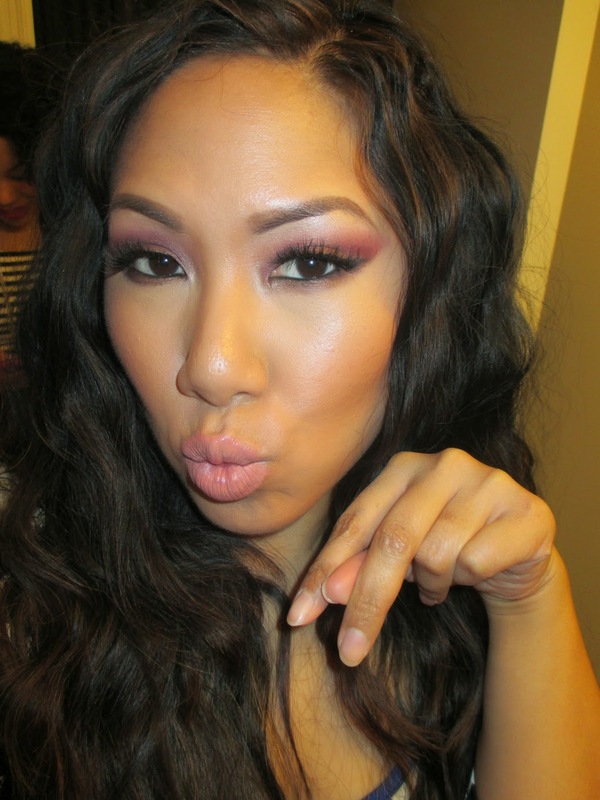 That mehron eyeshadow is gorge! Beautiful look.